With malice toward none, with charity for all, with firmness in the right, as God gives us to see the right, let us strive on to finish the work we are in; to bind up the Nation’s wounds; to care for him who shall have borne the battle. 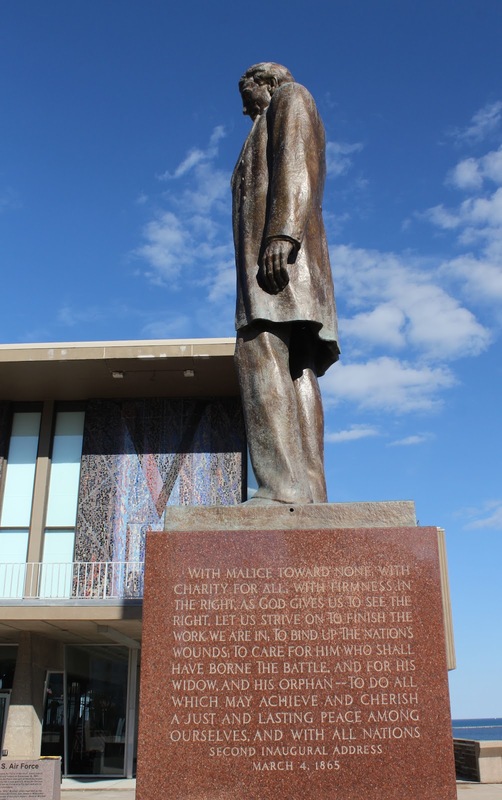 And for his widow, and his orphan – To do all which may achieve and cherish a just and lasting peace among ourselves, and with all nations. 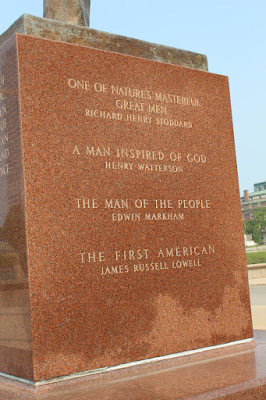 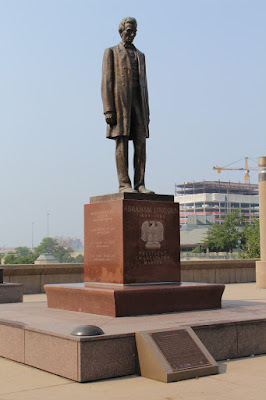 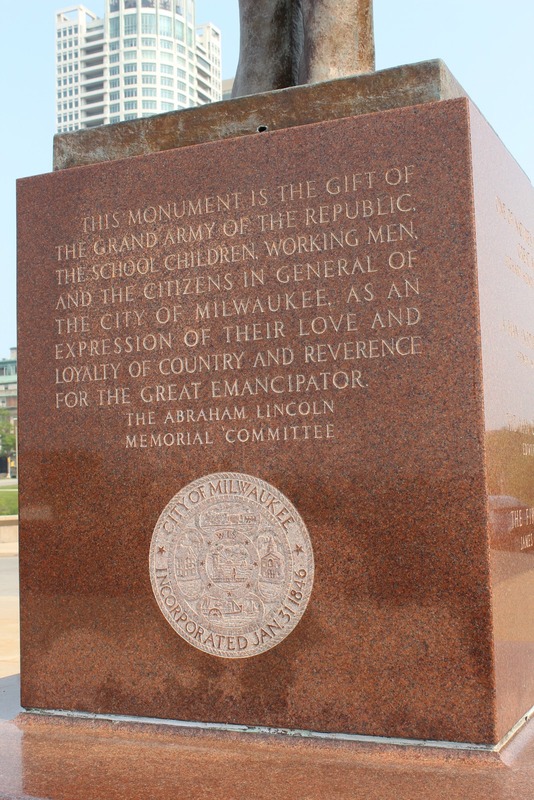 This monument is a gift of the Grand Army of the Republic, the school children, working men, and the citizens in general of the City of Milwaukee, as an expression of their love and loyalty of country and reverence for the Great Emancipator. View of the Milwaukee Museum of Art from the statue location. 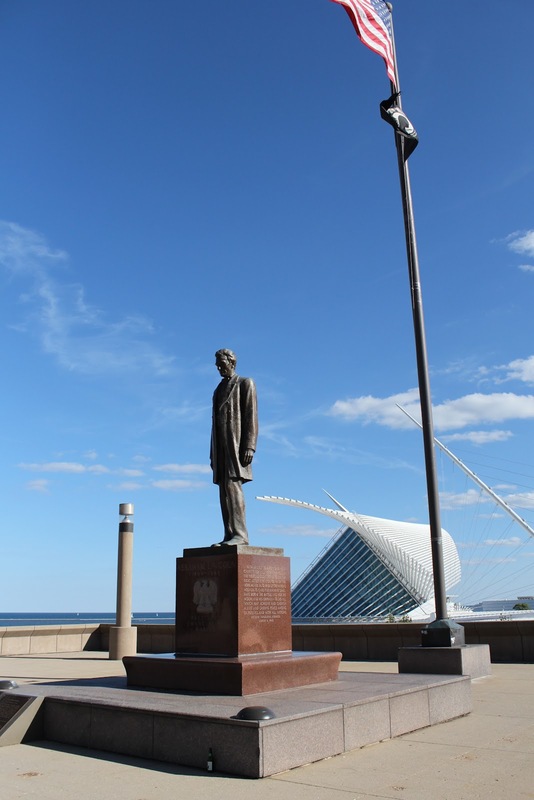 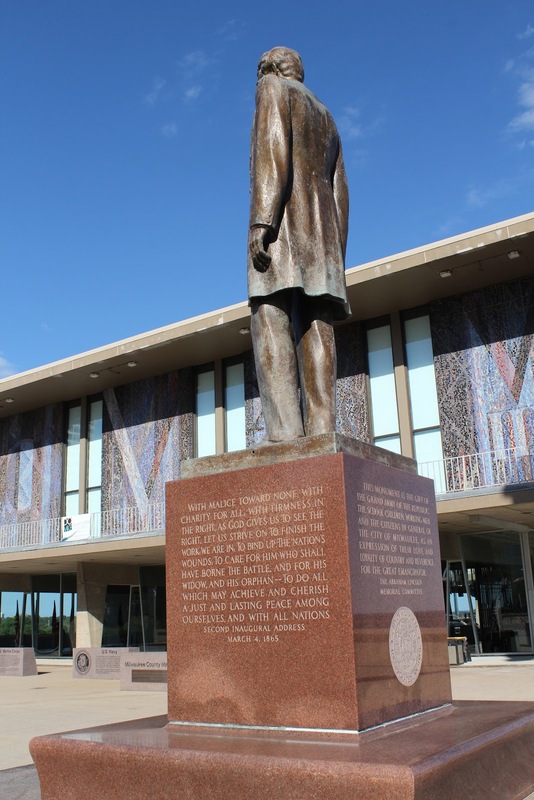 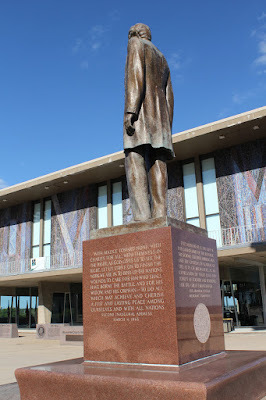 The statue is located at the Milwaukee County War Memorial Center.